Do you long for more connection with the magic of the natural world? Are you drawn to the beauty of rocks and crystals but you’re not sure what to do with them? This week is all about crystals, stones, and healing rituals. 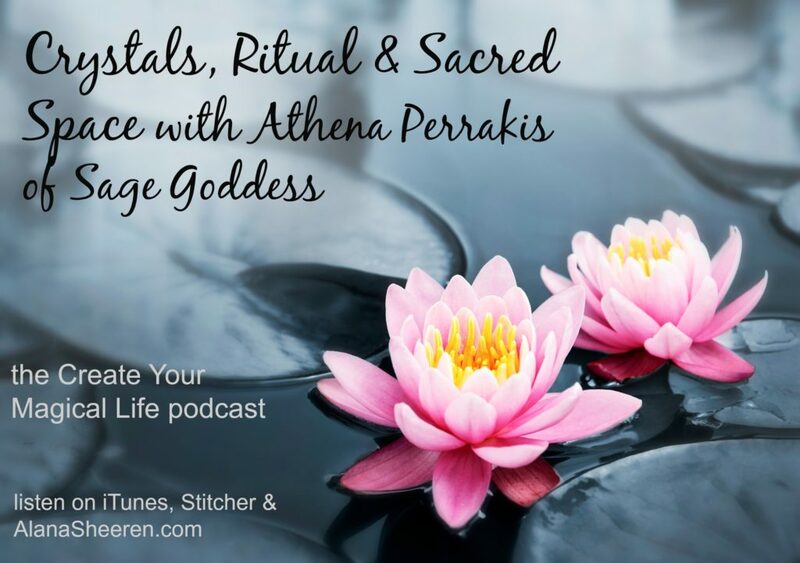 Athena Perrakis of Sage Goddess talks about starting out with crystals, how they affect the body’s energy, creating an altar and using rituals to connect to your inner wisdom. Athena is an incredible source of wisdom and gives specific tips and info you can immediately put to good use. Athena Perrakis left the corporate world to launch the world’s largest and most trusted online source for sacred tools and gemstones. She started her business with a single product, intending to connect the world in a virtual sacred circle, following the rhythm, rituals, and magic of the moon. Online and at the Sage Goddess flagship store, you can now find over 2000 tools and products to help you access your inner wisdom and your personal magical lineage. Join us for this fun conversation!